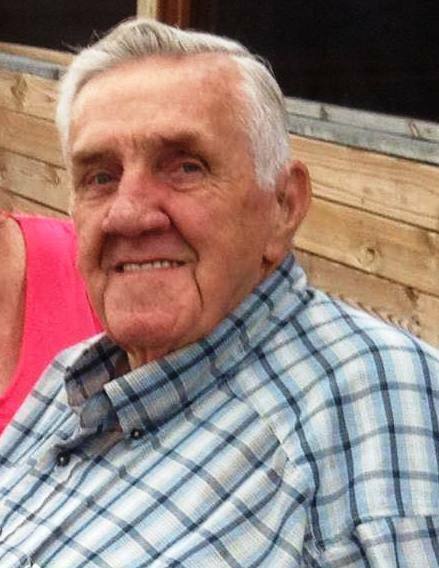 Charles C., age 84, of Hamilton passed away peacefully at home surrounded by his family to go to heaven to see the love of his life, his wife Marilyn, who passed on January 26, 2010. He is survived by his loving children, Charles C. (Sue) Jeffers II, Cindy C. (Bill) Williams, and Mark P. (Paula King) Jeffers; 7 grandchildren, 15 great grandchildren, and 2 great great grandchildren. Charles is also survived by his brother, Dale Jeffers and brother in law, JB (Charlene) King; numerous nieces, nephews, other family, and friends. He is preceded in death by his beloved wife, Marilyn; siblings, Blanche Wyrick, Mary Lewis, John Jeffers, Dewey Jeffers, sister in law, Karen Secoy; and brother in law, Jerry King. Visitation will be Friday, October 26, 2018 from 2-4 p.m. at the Avance Funeral Home and Crematory, 4976 Winton Rd., Fairfield, 45014. Funeral service will begin at 4 p.m. at the funeral home with Pastor Cecil Day officiating. Burial will follow on Saturday at the Jeffers Family Cemetery in Athens.